This volume provides academic essays that reflect this up to now rather neglected issue from the point of view of the three main Buddhist traditions. It provides multi-faceted and surprising insights into a rather unlikely relationship. This book is based on the study of original texts and furnishes some information not hitherto accessible. It tells us a little about what Zen actually is, about its relation to ordinary Buddhism, and the nature of its influence upon the arts. This excellent anthology of the Buddhist Canon gives those new to Buddhism a very concise overview to the teachings of the Buddha. The book does a great job of presenting some of the most important aspects of the Dhamma in a logical order. 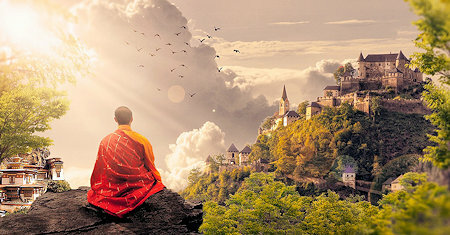 Questions and answers on Buddhism grouped in categories: (1) The Life of the Buddha; (2) the Doctrine; (3) the Sangha, or monastic order; (4) a brief history of Buddhism, its Councils and propaganda; (5) some reconciliation of Buddhism with science.